Award-winning author Fred Reed examines the man and the myth of the 16th president of the United States, Abrham Lincoln. Includes more than 1,400 pictures and illustrations, both famous and obsure, on coins, tokens, medals, stamps, paintings, magazine covers, cartoons, and much more. A fascinating and unique overview of international currency, All the Money in the World vividly chronicles how political, cultural, and economic forces have shaped the development of coinage and paper currency from antiquity through today. An accurate historical look at the evolution of American money. Witness changes in production and materials from which money has been made. 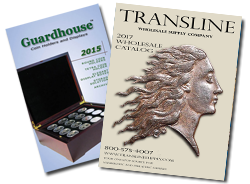 Find information on America's bills and coins and the mints that produce America's money. A two-volume set on the history of the American Numismatic Association from 1891 to date. Learn how coins become toned or tarnished and how to preserve, clean and protect coins in your collection. An almanac of coins. From Coin World. Short Discount. Places coinage in a lively and enjoyable historical context. Find out how coinage contributed to the assassination of Caesar and other exciting coin facts. This book, written by an expert in the field and drawing on recent research, aims to put Britain's eighteenth-century provincial token coinage into the context of the currency problems of the time. On the basis of a wide range of both documentary and secondary sources it examines its major manufacturers and their intention, and through profiles of many of the issuers involved it sets out to give a living dimension to a bygone monetary phenomenon. Information essential for purchasing Barber coinage. Includes history, rarity ratings, and date and mint mark analysis.